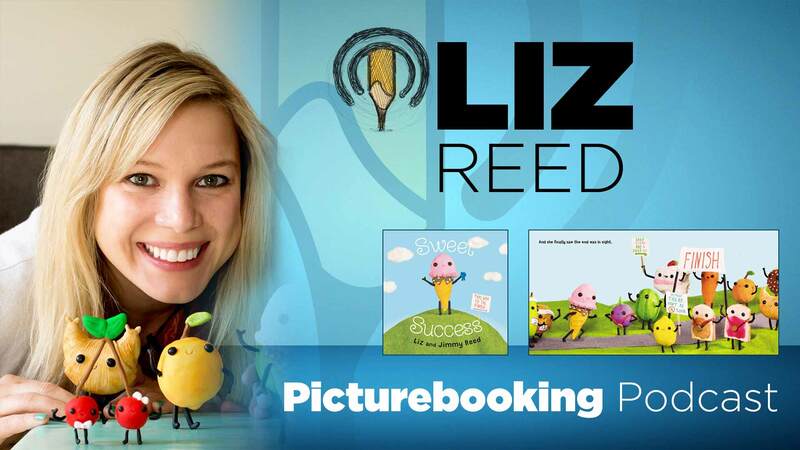 For the record I don’t think my daughter is going to let me give away my copy of Liz and Jimmy Reed’s newest picture book “Sweet Success.” It’s a story about an ice cream cone who loves projects. My daughter loves projects and she love ice cream cones. Now that I’ve found it, this one is going to stay in our story time rotation. Liz Reed is part of the husband-and-wife team behind “Cuddles and Rage,” a webcomic featuring dioramas and illustrations of anthropomorphic food and animals. Liz also does a bi-weekly podcast featuring creatives pursuing their passion call People I Think Are Cool. To see more of their sweet work, visit them online at www.cuddlesandrage.com. P.S. If you are a Picturebooking Patreon check out some bonus Liz.